Tarn, where he was born. He is a man with a particularly biting wit. in jeans, while the Lord (also a woman) was displayed in an inscrutable pose. lesalers of Rue de Turbigo, beckoned all the showbiz idols of the time. having taken a long look at the back view”, laughing heartily as he says it. ready to support anyone with talent and energy on a par with his own. offering from the Genius Group think-tank which now included Rosso. where he serves as Executive Vice-President of Product Development. of Europe’s most iconic brands he too is hard at work with these fibres. cotton. The real future lies in cellulose fibres originating from wood”. produced by the company Snia Viscosa, and thus home-grown to boot. never forgetting of course, that the company is also part of the family. look, ideal for those brands of denim in the vanguard of high fashion. mediately snapped up for the collections of such brands as Fornarina. Konukoglu points out. You can still be new when you look to the past. to combine the performance of jeans with the comfort of a tracksuit. in the whole of the fashion and textile industries. a fashion industry bound, at the time, by a terrifyingly rigid set of rules. clothing stays ever more relevant and alive. fineness and strength depend mainly on the fineness and maturity of the fibre. cotton from â&#x20AC;&#x153;The City of the Godsâ&#x20AC;?, highly prized for its extremely fine grammage and extra-long fibres, woven into fabrics that are both remarkably fine and strong. China produces Xinjiang cotton, named after the region of the same name, which has very long, strong fibres, destined almost exclusively for internal consumption, in addition to the vast quantities of cotton imported to meet the needs of the huge national market. Good quality cotton is produced in Paraguay, in Brazil, which has an ultra-modern cotton industry developed over the last twenty years, and in some small areas in Pakistan. Finally, there is the particularly well-known, top quality cotton grown in the West Indies with, at 39mm, the longest, strongest fibres in the world, harvested painstakingly by hand so as not to damage those fibres. When making a denim fabric, the preference tends to be for a mix of different quality cottons, usually originating from three or four different places, rarely only one, in order to obtain the most uniform features that can be recreated with ease. Spinning, dyeing, weaving and finishing Spinning The quality of the cotton, something that does not necessarily depend on whether or not it is organic, is also a vital factor in the spinning process, when the textile fibres are transformed into the yarn that will subsequently be woven. In the specific case of cotton which is a discontinuous natural fibre, before spinning can take place, a number of operations must be performed to clean the clumps of cotton of any vegetable resides remaining after the bols have been harvested and to make the fibres run parallel to form continuous threads. Spinning involves twisting a bundle of fibres to compact them into a continuous thread. Spinning can be performed on open-end machines, a more economical process yielding a lower quality result, in which the fibres are twisted by a centrifugal action generated by a rotor. Alternatively, the ring spinning method can be used, producing stronger, more compact yarn, in which the fibres are twisted by winding them around a rotating spindle. The spun yarn is given a name, or â&#x20AC;&#x153;countâ&#x20AC;?, expressed as the weight to length ratio, which depends on the quantity of fibres used, their specific properties and the torsion to which they have been subjected. leave the weft, after which it is carried under the shed space by a chain, from where it starts all over again. This type of loom can achieve 400 movements a minute, producing two lengths of fabric at the same time. In classic denim, the warp to weft ratio is mainly 3:1, so that, when the fabric is viewed vertically, you can see one weft point and then three weft yarns covered by warp. 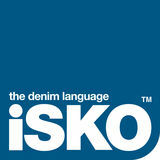 The much-loved look typical of indigo jeans is therefore created by the warp and the infinite variations that can be obtained within the shades of indigo and by the subsequent abrasive processes the jeans are subjected to in the laundry to eliminate the indigo dye from the outermost surface of the warp, until the core, the colourless central part of the yarn, is revealed. Finishing Once it has been woven, classic denim is ready for one more process before cutting. This is finishing a treatment whose main aim is to give the fabric dimensional stability. 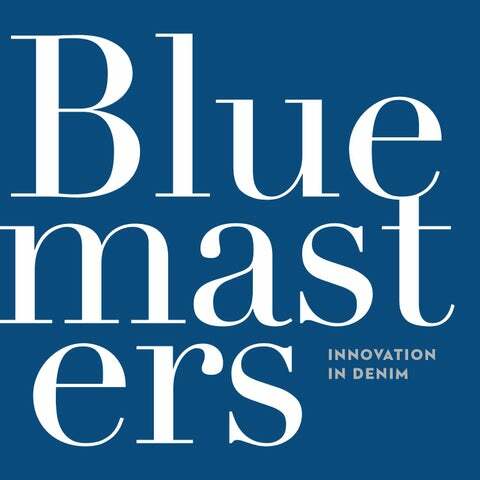 The story of both the past and, above all, the future of denim, through the innovations and the voices of those who "do" denim.